Factual religious proof of the existence of god does not exist. Every time they come up with something, it is always based on the bible. However, sometimes they bring up something they believe they can stomp you with like the second law of thermodynamics . But what happens when you ask them to explain this ? click on the link and find out. Of course you will never get any proof that has factual evidence supported by (real) science and not of the pseudo science of the likes of Kent Hovind and Ken Ham to name a few. Fact is that all these socalled scientists are con artists who build lies and get extremely rich of it. 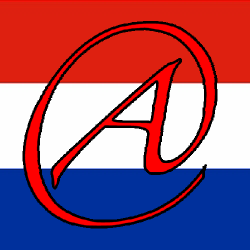 DutchHeretic.com is a non profit English language Atheist website from the Netherlands .